That kit just became a family heirloom! It has a family connection and it'll be a great conversion piece. What a thoughtful tribute he did, that was an awesome gift he did for you. Great stuff. He truly went over and beyond. Very nicely done. When we see it on wheels? I have been wanting one for a long time, and it's white styrene too. I saw an earlier year grille in resin I would like to get. 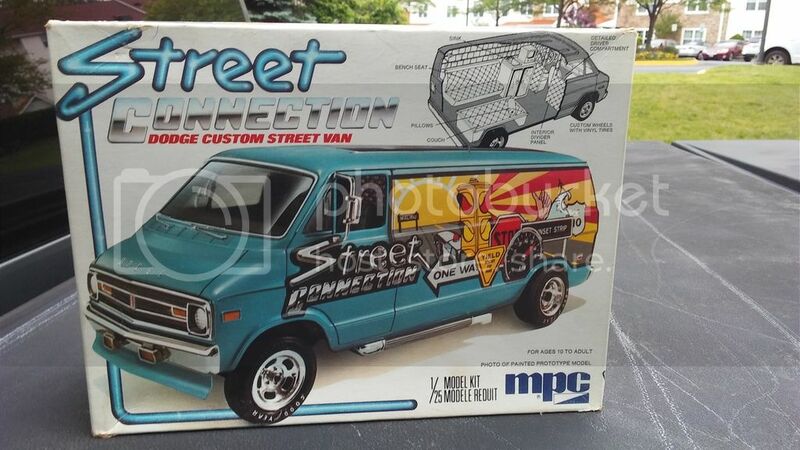 I would love to get a window van kit like I had when I was a teenager. Stunning work with an airbrush. Great mural work your friend did.